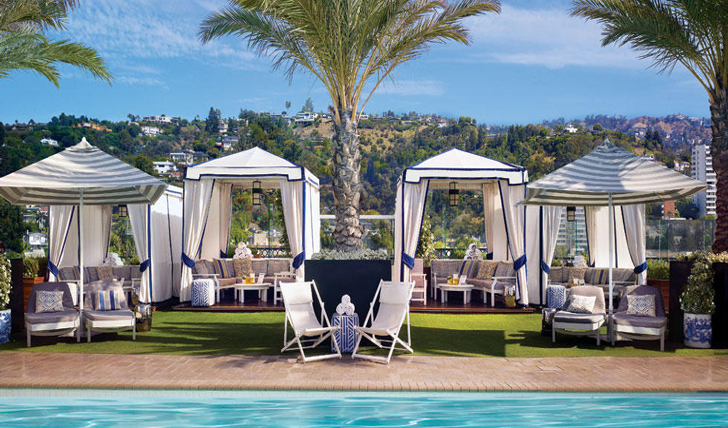 Located just off the Sunset Strip and close to the glamorous Beverly Hills, The London West Hollywood is a chic hotel whose location ensures you experience the perfect combination of sightseeing and relaxation. Having undergone a multi-million pound renovation, the hotel now boasts 226 stylish suites including an impressive 11,000 sq ft rooftop penthouse. With a pool deck offering panoramic views of the city and impeccable service, you’ll feel utterly spoilt in this urban retreat. This hotel is conveniently located in the heart of West Hollywood and is only three miles away from the iconic Walk of Fame. Yet even with its central location, the London West Hollywood still feels like a haven hidden amongst this bustling neighborhood. Landmarks such as the Beverly Gardens Park are within easy reach and Los Angeles International Airport is just a 45 minute drive away. 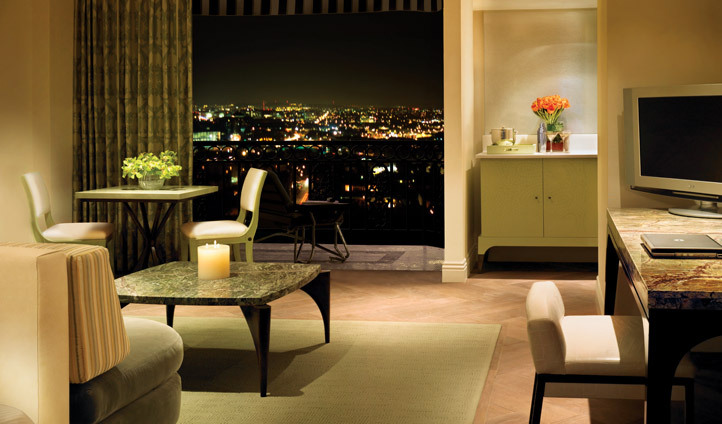 Each room at The London is complemented by a beautiful private sun terrace overlooking the city and the bathrooms encompass true luxury with their oversized showers and bath tub. Remember to look out for your daily invitation to join The Breakfast Table, where you’ll be served fruit, pastries, cheeses and charcuterie, all prepared by the hotel’s exceptional chefs. There are lots of reasons to love this hotel; the fantastic location and incredible service are just two. But beyond your beautifully designed suite is the hotel’s incredible rooftop pool. With a breath-taking backdrop and heated to 83 degrees in the winter months, you can start your day with a swim above the iconic Sunset Strip all year round.